We designed this Maldives Packages: Luxury Resort and Beaches vacation for a couple from Chicago celebrating a milestone anniversary. They wanted to stay in a Maldives luxury resort with gorgeous beaches, 5-star accommodations, and world-class dining where they would feel truly pampered. We sent them to one of our favorite Maldives resorts, One&Only Reethi Rah, for a week of island relaxation and romance. They began their trip in style with a luxury boat transfer from the airport to the resort, nestled on the secluded northern tip of North Malé Atoll. Surrounded by the wonders of the Indian Ocean, One&Only Reethi Rah is a true hideaway set amongst stunning natural beauty: powdery white sand beaches, warm turquoise lagoons, and plenty of private spaces to relax. They spent a week in a gorgeous Beach Villa decorated in bright, warm tones that elegantly combine tropical style with modern comfort. The highlight of their villa was the postcard-worthy view from their lounge area, leading out to their own section of private white sand beach. An expansive deck, shaded loungers, and relaxing hammock provided an inviting beach retreat that felt a world away from ordinary life—perfect for their romantic getaway. The magical dining experiences, spa treatments, and VIP service at One&Only Reethi Rah made their stay seamlessly delightful. They had plenty of adventures on offer during their Maldives Packages: Luxury Resort and Beaches vacation, as well—from snorkeling in the pristine coral reefs, to rock climbing, to wakeboarding and speedboating on the sparkling waters of the Indian Ocean. Each day was free to do as little or as much as they wished. After a week of romantic bliss, their Maldives Packages: Luxury Resort and Beaches vacation came to an end. They rose early on their final morning at One&Only Reethi Rah to watch the sunrise, enjoy a leisurely gourmet breakfast, and soak up a few more rays of sunshine before boarding a luxury boat transfer to the international airport. 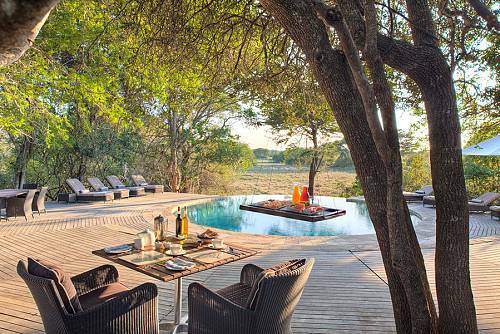 They returned home feeling relaxed, refreshed, and inspired—a perfect getaway from the hustle and bustle of daily life! 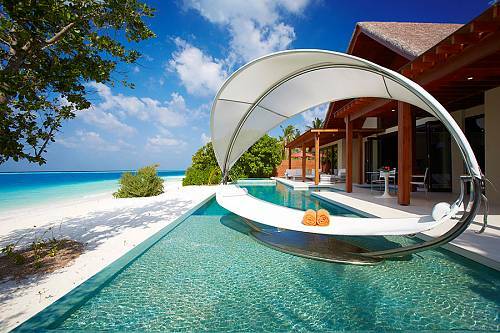 Welcome to the Maldives! Your home in paradise for the next 7 nights is the beautiful One&Only Reethi Rah resort. Surrounded by the wonders of the Indian Ocean, One&Only Reethi Rah makes its home on one of the largest islands in North Malé Atoll. A jewel among a string of coral atolls, lagoons and white sands, it is about 700 km southwest of Sri Lanka. Arrive in style on a luxury boat transfer from Velana International Airport and settle into your utterly luxurious Beach Villa. Bright, open spaces and warm wood tones will make you feel relaxed and rejuvenated the second you step inside, and your lounge area opens out to a picture-perfect view of powdery white sand and warm, turquoise waters. This stretch of private beach is yours to enjoy during your stay, with an expansive deck, shaded loungers, and a hammock serenely nestled under swaying palms. 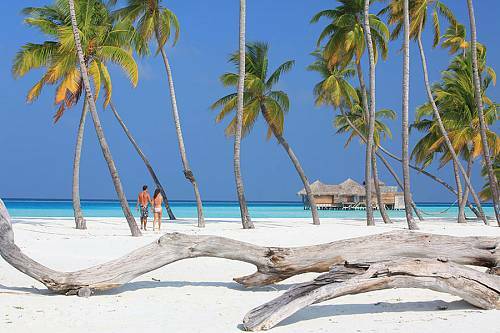 Your time at One&Only Reethi Rah luxury resort is yours to enjoy at your leisure. This luxurious hideaway features private beaches, warm lagoons, and the utmost exclusivity and privacy. The resort features 6 km of private coastline, with 12 magnificent beaches and 2 separate swimming pools (one for adults only, one dedicated to families with children), as a 30m long lap pool stretching into the lagoon. In addition to water activities (including exceptional snorkeling and diving in the pristine coral reefs), One&Only Reethi Rah offers unique amenities such as an artist studio, where you can learn to paint in the gallery of a renowned artist or in the privacy of your villa; a climbing wall; tennis court; and 3 expertly curated boutique shops. Feeling adventurous? Try water-skiing, speedboating, wakeboarding, and more at the Water Sports Centre. The absolutely stunning spa and fitness center is the perfect place to relax and feel your stress melt away. The spa offers massage, body work, Ayurvedic massage, and more. 6 magical restaurants provide inspiring dining experiences amid the natural beauty of this hidden paradise. It’s time to say goodbye to your beautiful resort. Enjoy a shared luxury boat transfer to Velana International Airport, where you will begin your journey home.